SBI Clerk Admit Card 2019 – State Bank of India (SBI) will release the SBI Clerk 2019 Admit Card for Prelims in the 1st week of Jun 2019 onwards. The admit card / call letter will be released at the official website i.e. sbi.co.in. For fetching the SBI Clerk Admit Card 2019 candidates have to enter Registration Number/ Roll No and Date of Birth/ Password. The candidates who submit the application form on time for those admit card for prelims is issued. For each stage of the examination separate admit card is issued. Check here more details about SBI Clerk Admit Card 2019 like the Paper pattern, Center for examination, how to download the admit card, etc. The mode of getting the admit card is online. Apart from this, no other mode is available for downloading the SBI Clerk Admit Card. For all the applicants it is important to carry a hard copy of the admit card on the day of the examination. Check here the important dates of SBI Clerk Exam 2019. Admit Card: SBI Clerk Admit Card 2019 is made available at www.sbi.co.in. The SBI arranges a PET for reserved category candidates such as SC/ST/XS/Religious Minority. 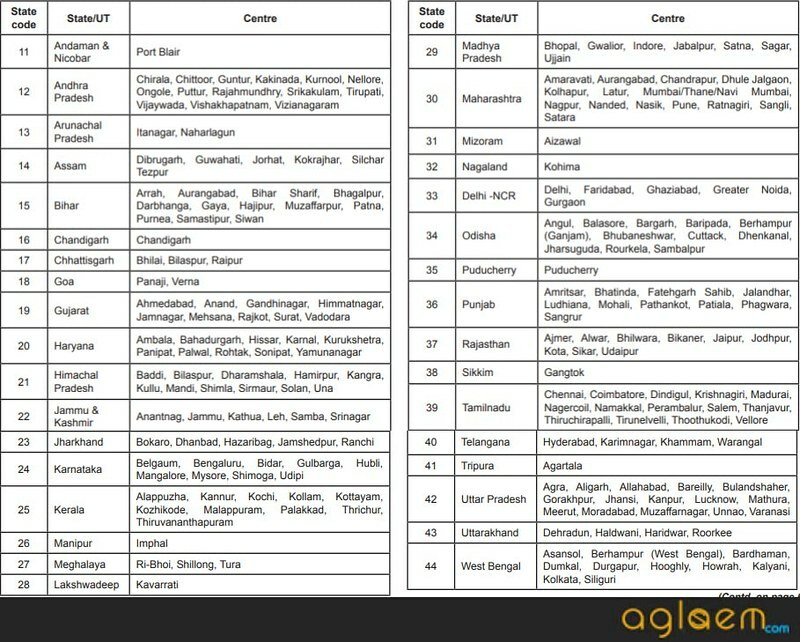 The candidates belonging to other than the mentioned categories were not eligible to apply for Pre-exam Training. Such candidates need to specify at the time of filling of SBI Clerk 2019 Online Application if they wish to opt for PET or not. The candidates who opted for such training for those SBI Clerk 2019 Admit Card is issued, online. No hard copy of the admit card is sent by post. How to download the SBI Clerk 2019 Amit Card? Follow these easy steps to download the Admit Card. After downloading the admit card candidates should take the print out of it for future reference. 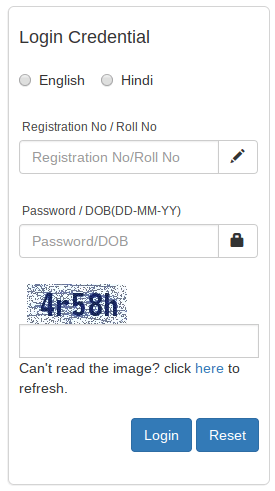 In the login page candidates have to enter Registration Number/ Roll No and Date of Birth/ Password. After filling the login details click on the Login button. After downloading the admit card, the candidates should check the admit card properly, whether the details on it are correct or not. So, here we have provided the list of the details which you can able to see on your admit card. If your admit card contains these details then well and good, otherwise you should communicate to the bank immediately. The candidates who submit the application form on time for those admit card for preliminary examination is issued. Candidates can follow the steps given below for downloading the SBI Clerk Admit Card 2019 for Prelims Exam. In each stage of the selection, the bank notes the candidate’s attendance by capturing the thumb impression of the candidate. The bank will take the thumb impression of the candidate in digital format for biometric verification for the genuineness of the candidate. The candidate must ensure that their thumb is free of any chemical, mehndi or ink. So that there will not occur any problem while doing the biometric verification. Duration of Exam: The duration of the exam was of 1 hour. From below check the Examination Centre for SBI Clerk 2019 Prelims Exam. After conduction of the prelims exam, the bank releases the admit card for mains. No doubt the qualifiers of prelims are able to download the admit card. Candidates can follow the steps given for downloading the admit card. Check the detailed Exam Pattern of SBI Clerk 2019 Main Exam from below. The medium of the exam: The question paper will be provided in Hindi and English language. Duration of the exam: The exam shall be of 02 hours. Type of Questions: All the questions will be of objective type. Negative Marking: There will be a negative marking of ¼ marks for every incorrect answer. These are the important instructions that helps you in the examination hall. The candidate has to carry the Admit Card in the examination hall, otherwise, they will not be allowed to give the exam. Carry one identity proof, that you have to submit to invigilator with admit card. Do not carry any electronic devices, such as smartphone, calculators, pager, smart watches etc. Also, do not carry any valuable items, you will be responsible for any loses. Attendance is Biometric, so keep your thumb out of any ink, henna, or chemical. The candidate should reach the examination center on the reporting time mentioned on the Admit Card. The candidate has the option to give the examination in Hindi / English language. So you have to choose accordingly. The candidates who will fail to follow this instruction. Q, How do I download my call letter? Registration No / Roll No and DOB(dd-mm-yy) at the required places to download the Call Letter. A. Internet-based Call letter download depends on various factors like Internet Speed, a large number of Applicants trying to download the Call Letter at the same time etc. Therefore, if you are not able to download the Call Letter immediately, please retry after a gap of 5 minutes or during off-peak hours during the night. Q. Where do I get Registration No and Password? A. REGISTRATION NO. & PASSWORD are generated at the time of registration and displayed on the screen. These are also sent to the candidate immediately upon successful registration, by way of auto-generated email acknowledgment, at the email address registered by him. A. Candidate should ensure that the DATE OF BIRTH is same as he had entered at the time of registration. Candidate can refer the APPLICATION PRINT for the DATE OF BIRTH entered by him. The date of Birth should be entered in DD-MM-YY format. Q. I am unable to login / Screen displays the login message failed? A. Please check your entries in the login screen. You should use REGISTRATION NO. & PASSWORD as received at the time of registration by displaying on the screen and also mailed to you in auto-generated email acknowledgment. Also, make sure that the DATE OF BIRTH you have entered is same as you entered at the time of registration and printed in the application print. Q, Can I change my exam center after the admit card of SBI Clerk 2019 has been issued to me? A. No, the exam center once allotted cannot be changed. Moreover, any request in this regard will not be considered. Q. My name is misspelled in the SBI Clerk 2019 Admit Card. Whom should I contact to regarding this? A. After downloading the SBI Clerk Admit Card, the candidate must ensure that the personal details printed on the admit card are correct or not. If there is any error or discrepancy in the admit card, contact the SBI Clerk Authorities immediately. Q. I do not remember my Registration Number and I need to download my SBI Clerk Admit Card? How can I download it now? A. There is no need to worry. The Registration Number and Password is also sent to your registered email id and mobile number. So, you can retrieve it from there. Q. I entered my Date of Birth incorrect in the application form and now the admit card has been issued to me. Will there be a problem? A. Yes. It was said before only that the details entered in the application form should be correct. You may sit for the test but if you will qualify for the Prelims and Main exam, you will have to report for Document Verification. If it is found that the detail mentioned in the application form is different from the document, you will not be considered for recruitment.